In 1999, Pat Horner and Larry Lawrence had a conversation outside of Taco Juan's on Tinker St. about the recent publication of the folded brochure about woodstock that was recently published by the Woodstock Chamber of Commerce & Arts. The two spoke of the need for a more comprehensive Woodstock 'Guide' and The following year, Bob Mc Broom (Onteora Mt. House) helped produce the 1st Guide (34 pages, designed by Ken Schneidman). 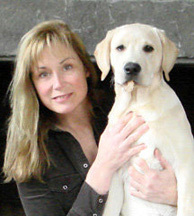 A 2002 edition was 32 pg., (designed by Naomi Graphics) and in 2003 and 2004, under Bob Mc Broom, with help from Leilani Claire, the Guide increased in size to 52 pages. DMC design (Donna Calcavechio) designed the '03 and '04 issues along with the 2005, 56 page version. Pat Horner was contracted by the Chamber in 2004 to produce the 2005 collectors edition after the passing of Leilani Claire. The 2006, 52 page version designed by Katie Jellinghaus, celebrated Hervey White, 100 years of the maverick and the artist, Andree Ruellan. The team of Larry, Pat and Katie started working together in 2006 and continue to the present day. The 2007 and 2008 editions continued to celebrate the arts and the "Art that is Life". In January of 2009, the new board of directors at WCOCA decided to not continue publishing the Guide. Larry and Pat had worked on the 40th anniversary issue for months and made the leap into publishing themselves. Having a short selling season and the downturn in the economy challenging the task, yet another collectors edition (44 pages) was produced and distributed beginning in May, 2009, and is still being sought after. Now open to all businesses (previously ads and listings were for chamber members only), the Guide is growing and becoming more of a regional resource to serve a larger community. The web page WoodstockGuide.com was launched in 2009 and re-designed in May 2010. The 2010 edition (48 pg.) celebrated 40 years of Earth Day and the part Woodstock played in the environmental movement. 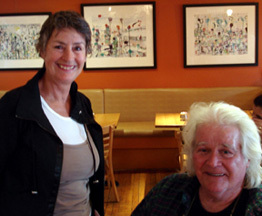 In 2011 we celebrated Maverick Spirit with stories on Hervey White and Janine Pommy Vega. The 2012 edition, Creative Inspiration, honored the art and artists of Woodstock. In 2013 we celebrated 100 years of the Woodstock Library and the anniversary of the 1913 Armory show in NYC. Our 2014 edition highlights Woodstock as the "Home for the Arts" and the 2015 edition honors the 100th anniversary of the first Maverick Festival. "Peace, Love & Rock" was the theme in 2016, a year we all needed more than ever to return to a "woodstock state of mind" as we lost David Bowie and dealt with a Trump candidacy. 2017 celebrates the "Centennial of Women's Suffrage" and focuses on the growing power of women. The 2018/2019 edition honors several art organizations that are celebrating long anniversaries; 50th for the Woodstock School of Art, 80th for the Woodstock Playhouse, 50th for the Woodstock Music Festival, and 100 years for the Woodstock Artists Association. Larry Lawrence began life in Los Angeles in the mid-40s and in the early 60s he jumped a train headed to New York City, eventually settling into a 70 room Hells Kitchen rooming house. After a stint in San Francisco, he came to Woodstock in 1998 and turned 12 Tinker Street into a sort of sculptural project while digging out the basement for a new studio where he's now working on a line of rolling ball machines. Larry is the wizard behind our website, computer files, public relations and bookeeping. Pat Horner was born in Minneapolis but hated the cold and moved to Arizona, Florida, Texas, Seattle, Paris, New York (for the art), and finally Woodstock (for the artists and the beauty). She has been a photographer, writer, teacher, coach, publisher and artist and now lives in Willow, a hamlet in the town of Woodstock, working on her paintings, mixed media works and writing. Her award winning work has been published and exhibited internationally. Pat does the sales, art directing, editing, writing and assists with distribution of the Guide. Katie Jellinghaus is a 4th generation Woodstocker who has been a professional graphic designer and illustrator for more then 25 years. She makes our concepts and ideas come to visual life. Lithography by Design printed The Woodstock Guide for seven years before Digital X-Press in 2013, 2014 and 2016 and we continue to be pleased with the vibrancy of the color. We are also proud that the Guide stays local when so many people are going to China, Canada or other on-line printers. Our goal is to provide environmentally responsible printing practices while keeping price down and quality up.